Fits and matches the paint! The reception is excellent as this had dual boards. gmuney1, jonesy84 and QXist like this. gmuney1 and jonesy84 like this. Are you referring to the base of the stick antenna? 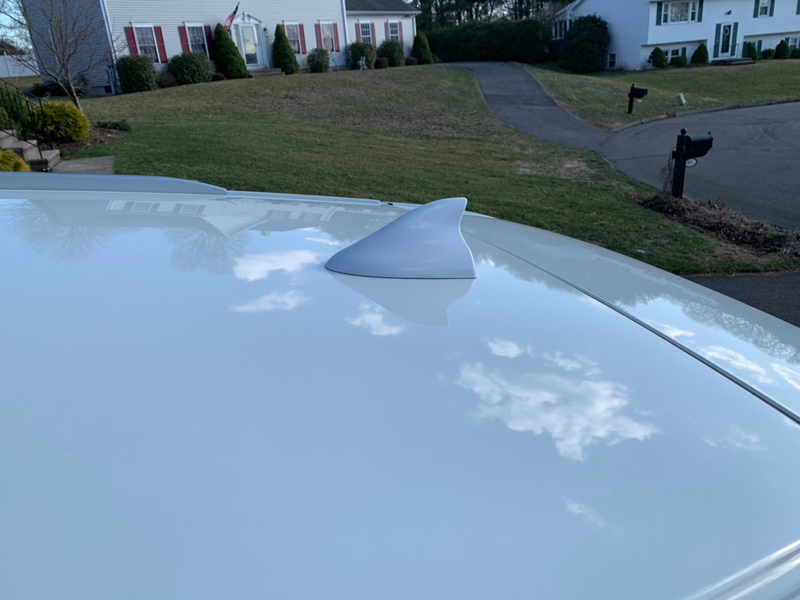 Because your car does not come with factory shark fin, so if you already have a shark fin, that's aftermarket and it could be installed wrong. Yes, it is the base of the stick antenna. 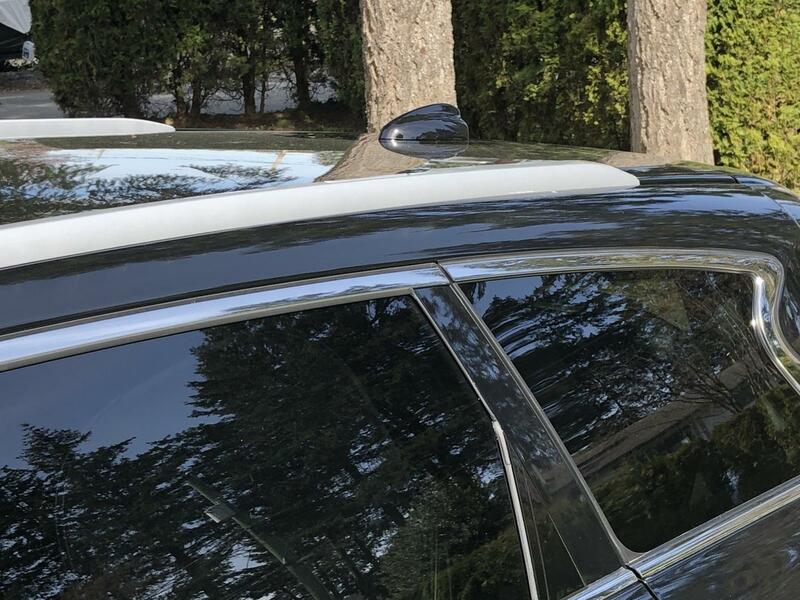 The back portion is not flush with the roof line. Possibly this is just how they come, it just looked wrong once I looked at it closely. Didn't know if anyone else's was like that and could confirm that this is just how they come from the factory. There's no water leak around it, so presumably a good seal where it does attach. 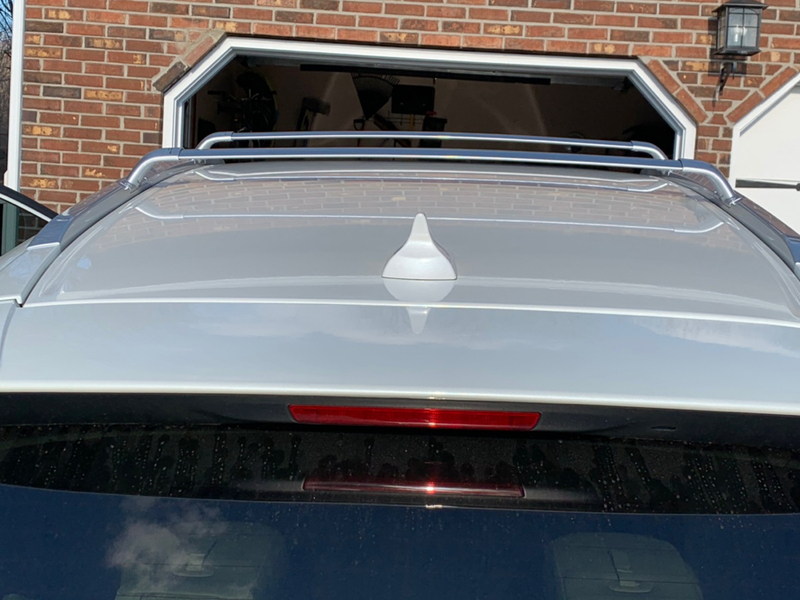 Just looks strange to have that little gap on the back portion rather than being seated nicely along the sloping roofline. Can you copy a link for where you got yours? My paint is the pearl white also, so I assume the colors are a good match? Also, is there a youtube video on how to take the old one off and put the shark fin style on? Or is it really complicated, or fairly straightforward to swap out? Is it hard to remove the factory antenna? is it hard to reattach the new one? or is it pretty straightforward? It looks like actually removing the factory one is the hardest part, then I imagine it to just be disconnecting a wire, reconnecting a wire, and using the 3m adhesive to attach it securely to the roof? You don't need a template. The cover snuggly goes over the existing base, you can easily eyeball it. It's a 10 min install, at the most. awesome! Good to know! How do you get the factory stick antenna off? I haven't looked at it at all yet. Is there a screw on the top that holds it on? or do you unscrew it, or pull on it a certain direction?